When you wish to contest a will, time is of the essence. If you have just received notice that a will is going to be probated, you need to contact an attorney right away. If you do not file your contest of the will before it is admitted to probate at the court hearing stated in the papers that you received, successfully contesting it will be much harder. If you file your will contest before it is admitted to probate at the court hearing, the burden will be on the party seeking to admit the will to prove that it is valid. If, however, you file your contest after the will has already been admitted by the court, the burden will be on you to disprove the validity of the will. 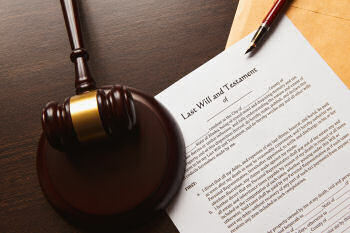 Some of the questions concerning the validity of a will include whether there is a newer will that revoked the will seeking to be admitted, the competency of the person at the time he or she made the will, or if the will was handwritten, whether the handwriting is actually that of the deceased person. Whether there is a will or not, sometimes there is some question as to the propriety of the distribution of the decedent's estate. In the case of a will this would be someone named in the will not receiving their appropriate share as set out in the will. In the event that there was no will, heirs may not have received their appropriate share under the laws of intestacy. In any event, you should not delay as your claim could be time-barred for failing to action in sufficient time. Even if your claim is not yet time-barred, recovery of gifts under a will or inheritance without a will only becomes more difficult as time passes. Do not delay if you wish to contest a will or distribution, contact us now at (210) 802-9377 for a free consultation.